By Gary-- Wizards! You've made a myriad of potions. 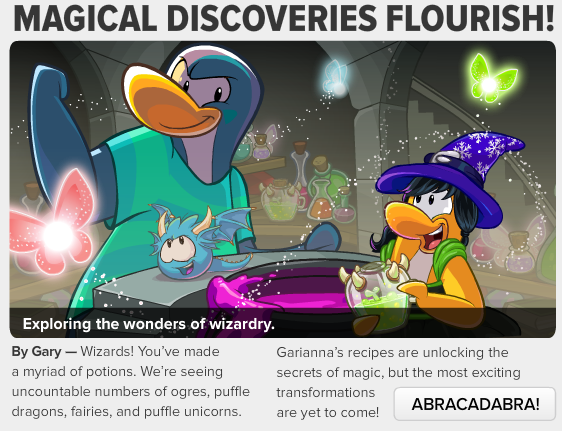 We're seeing uncountable numbers of ogres, puffle dragons, fairies, and puffle unicorns. Click ABRACADABRA and you will be able to read more. Have you gotten all of the potions? There are still more potions to unlock! Aren't you excited?! WOW! 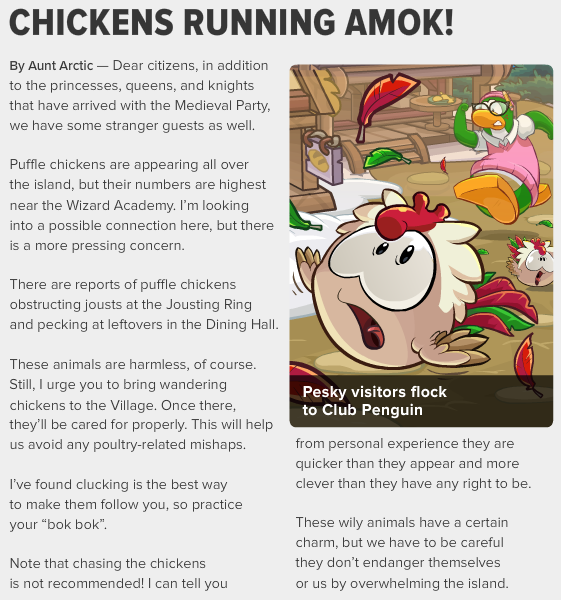 Those Puffle Chickens are causing a lot of trouble! They're everywhere! Also, don't try to chase them because they're just too quick for our waddling! 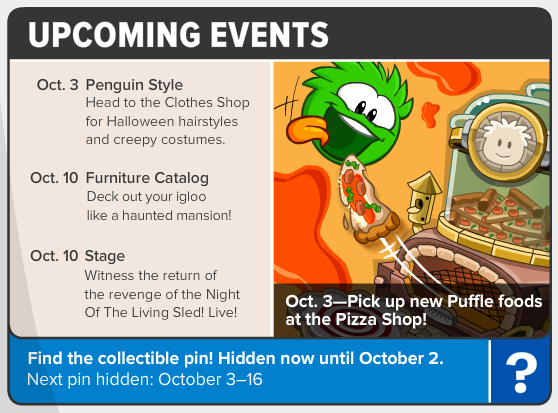 Penguin Style - Head to the Clothes Shop for Halloween hairstyles and creepy costumes. Furniture Catalog - Deck our your igloo like a haunted mansion! Stage - Witness the return of the revenge of the Night Of The Living Sled! Live!